Jonny Pelham is a London based graphic designer working primarily on book covers and printed matter. He is currently employed as a senior designer at Faber & Faber. 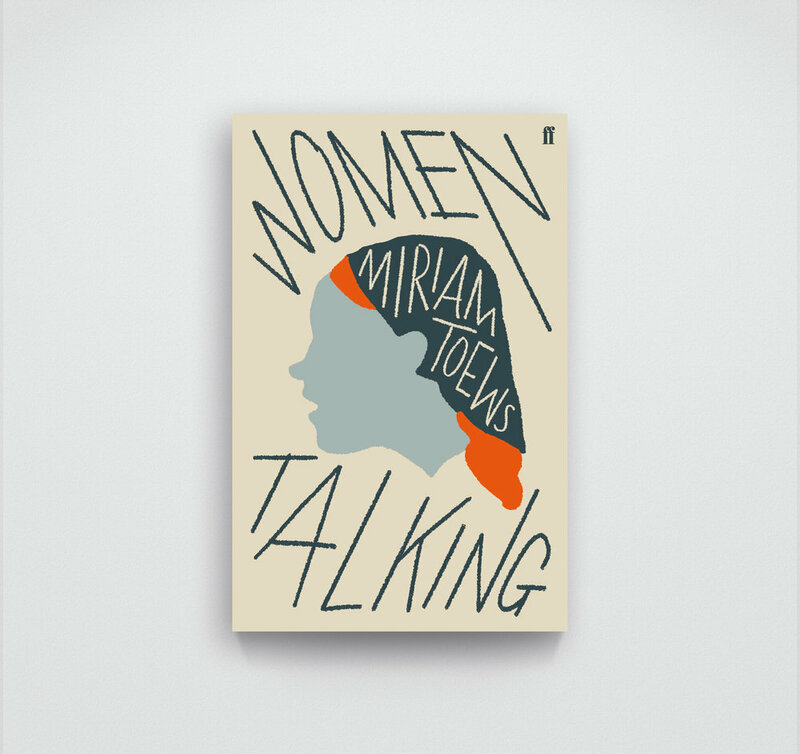 Here he talks us through creating the cover for Women Talking by Miriam Toews. The women are driven variously by revenge and forgiveness, and capable of profound philosophical insights despite their almost total lack of education. They live a materially simple life, but they also live lives of great emotional and intellectual complexity. 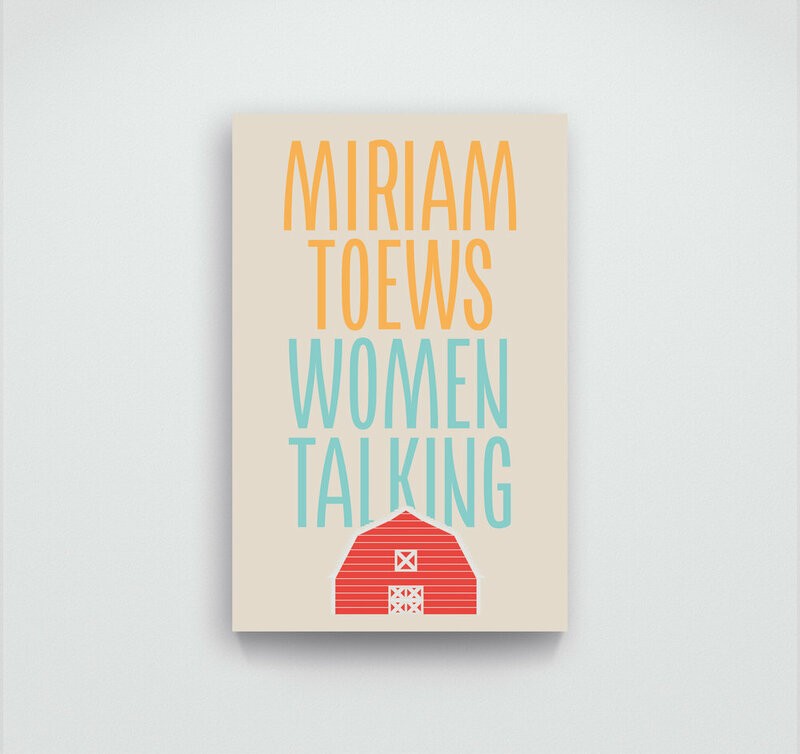 Even the most infuriating and ridiculous characters are drawn with overwhelming generosity by Toews. Whilst it is a story about women, it felt imperative that the cover should not speak exclusively to women. I knew I could easily buy and fall in love with this book, and I wanted to give other men this opportunity by producing a cover that wouldn’t damage their extremely delicate egos. At first I was fixated on the wooden barn, and how space is vital as a starting point for projects of empowerment. Barns, however, are quite boring to look at, and this treatment was horrifically twee, so I moved quickly on. One woman lunges at her attacker with a scythe. It’s a tool associated with death, but designed for threshing which feeds their livestock and, in turn, the community. A tool, then, of both life and death. As a symbol though it was too aggressive and already laden with too many associations. I had swung too far the other way. At one point in the story a ballot is held – will they do nothing, stay and fight, or flee? But as the women cannot read, they require pictograms in order to understand what they are voting for. I tried drawing the miniature scenes the way they are described in the book. This idea felt poignant but it became clear that my terrible drawings wouldn’t be able to carry the emotional weight required. Maybe I could learn from the title. 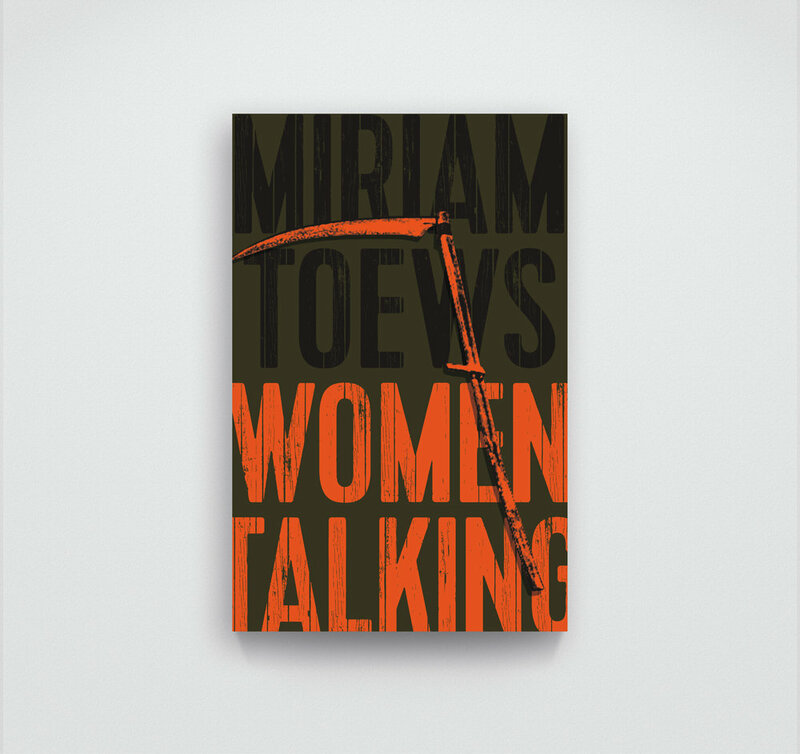 At its most basic, Women Talking is a story of … well, women talking. I could discard everything except these elements. I slanted the lettering in alternate directions to give a sense of competing discourses. The spareness of the composition and the conflicting angles go some way to expressing the desperate situation the characters find themselves in. My rudimentary illustrative skills here also became a strength and it seemed that the hand rendered style could plausibly evoke a people who live without mechanisation. The woman at the center is intended to be a cipher – no face, ageless, raceless, able to exist across time. This leaves the reader free to project any imagined features or identity they want onto this drawing, be it the characters from the book or themselves. 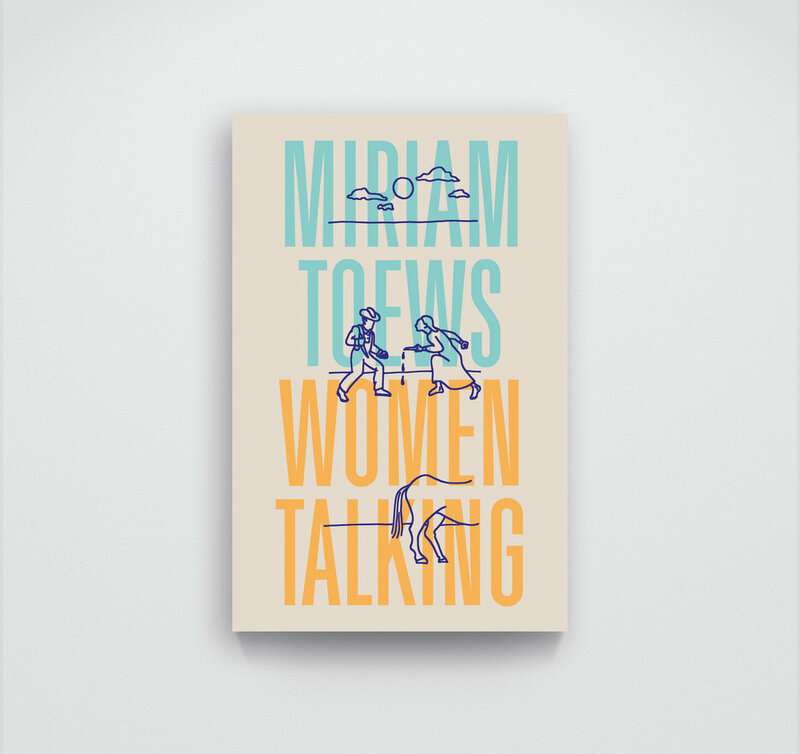 Women Talking is a story particular to one group of women and unlike any other, but it felt important to draw attention to the ways in which their experience, at its core, is still painfully universal.